Stork Craft Drop-Side Cribs RECALL! RECALL Alert!! Infant Entrapment and Suffocation Prompts Stork Craft to Recall More Than 2.1 Million Drop-Side Cribs. 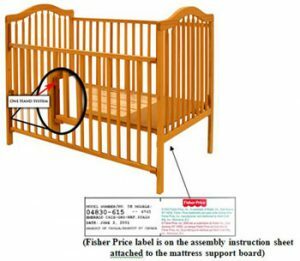 CPSC urges parents and caregivers to immediately stop using the recalled cribs, wait for the free repair kit, and do not attempt to fix the cribs without the kit. They should find ... Read More about Stork Craft Drop-Side Cribs RECALL!